One of the more well known characters of the ’45 Rising was Donald Cameron of Lochiel who was the 19th clan chief of Clan Cameron. The Cameron clan were traditionally loyal to the Stuarts and fought in both the 1715 and 1719 Risings so, when Prince Charles Edward Stuart landed in Scotland in 1745, he quickly sent word to Lochiel in order to gain his support and his influence. However, Lochiel, like many men at the time, had misgivings and initially sent his brother Archibald Cameron to meet with the Prince. On 19th August though Prince Charles was waiting at Glenfinnan when he saw Lochiel approaching with some 800 Cameron men forming the largest support of the Jacobite army. Lochiel was considered a loyal and fair man and became known as ‘Gentle Lochiel’. After the Battle of Prestonpans he ordered that all the Government men should be taken care of and receive adequate medical attention. Similarly, when the Jacobite army marched through Glasgow, he ensured there were no reprisals for not supporting Prince Charles. Indeed to this day city bells are rung when the present Cameron of Lochiel enters the city. Lochiel took part in all the major battles of the ’45 Rising. The Camerons were instrumentally in the seizing of Edinburgh and fought in the successful attack at the Battle of Prestonpans. Late in 1745 Lochiel was even made Governor of Edinburgh. It is reported that having secured Edinburgh Lochiel counselled Prince Charles to stop and strengthen his hold on Scotland. However, Prince Charles was determined to continue and Lochiel continued on the campaign down to Derby and back. At Culloden the Camerons were positioned on the front line and struck the front line of the Government men. After the battle the Lochiel home of Achnacarry was burned to the ground and Lochiel was forced to go on the run. He eventually met up with Prince Charles in the hiding place of Clunys cave before both men managed to flee to France. We hope you enjoyed this short insight into Lochiel. As always please like, share, tweet, comment and definitely read more about the Camerons of Lochiel who are a fascinating family. We love uncovering stories about the women who played a role in the Jacobite Risings and we’ve found some good ones we wanted to share with you. Firstly, we look at Jenny Cameron who was described by one man as ‘a genteel well-look’d handsome woman with a pair of pretty eyes and hair as black as ink.’ When Prince Charles Edward Stuart first come over to Scotland, and attempted to raise supporters at Glenfinnan, Jenny Cameron was one of the first people there along with 200 clansmen and a herd of cattle. Throughout the 1745 Rising Cameron travelled with the Jacobite army, being present at both Prestonpans and Falkirk. Clearly not content to stay at home, there are reports of her wearing a tartan doublet and carrying a sword as she travelled with the army. In February 1746, before the Battle of Culloden, Jenny was captured at Stirling and was sent to Edinburgh Castle as a prisoner. She was later released but was never fully trusted as there were government agents said to be watching her as late as 1753. Another feisty women was Lady Margaret Ogilvy. Her husband, Lord David Ogilvy, joined the Jacobite cause and Lady Ogilvy, as with Jenny, refused to stay at home. She joined the army on their campaign in Glasgow and was even said to have used her husbands spare horse to ride with them. After Culloden she too was taken prisoner and also placed in Edinburgh Castle. Not one to give up though Lady Ogilvy managed to escape. Lady Ogilvy convinced the old lady who did her laundry to swap clothes with her and by apparently mimicking the old woman’s walk she was able to walk past the guards and exit the castle freely without being spotted. After her escape she planned to reunite with her husband and made her way south to Hull. Here, she would set sail for France where Lord Ogilvy waited. However, before she could make it aboard a ship there was a worrying moment when she was mistaken for none other the Prince Charles Edward Stuart himself. Luckily she managed to convince the Government accuser that she was not Prince Charles, and was in fact a woman, and she was able to make her escape to the continent. It would be fair to think her story ends here but whilst in France, and finally reunited with her husband, she fell pregnant. Refusing to have the child born outside of Scotland she daringly managed to return undetected and gave birth to a child in Angus. Eventually both herself and her husband were pardoned and were able to return permanently to Scotland unrestricted. We hope you enjoyed these stories which are just two of many great tales that surround the Jacobite ’45. As always please like, tweet, share, comment and let us know who else you would like to hear about. Archibald Cameron of Lochiel was the third surviving son of John Cameron, the 18th Lochiel and played an important part during the ’45 Jacobite Rising as both a doctor and leader. 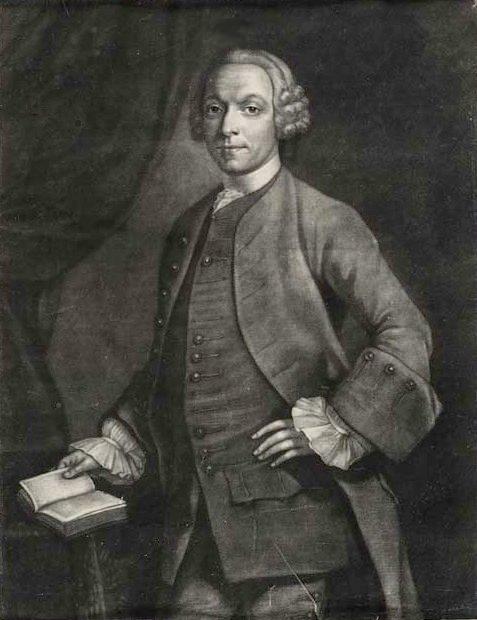 Born in 1707 Archibald initially attended Glasgow University to study law before he moved over to Edinburgh University and became a doctor of medicine. His father, the 18th Lochiel had raised men for the 1715 Jacobite Rising and as result was an exile, living on the continent. Thus when 1745 arrived it was Archibalds older brother, Donald, who was acting as clan chief. When Prince Charles arrived in Scotland eager to gather support for his cause Donald sent Archibald out to see him and try to persuade the Prince that his efforts were futile and that he should return to France and give up the idea of a Rebellion. However, Prince Charles spoke with Archibald and managed to persuade him that a Rising was worthwhile and soon had the Camerons joining with him and his growing Jacobite army. Throughout the Jacobite campaign Archibald used his skills as a doctor wisely and fairly. He gained a reputation for his kind treatment towards not just the Jacobites but also any Government prisoners that were placed under his care. At Culloden his brother, Donald, was shot through both ankles by grapeshot but with Archibalds help he managed to survive. After the battle Archibald, as with many Jacobites was forced into hiding to escape Government hands. As a well known and prominent man there was little doubt that if he was caught he could be severely punished for his actions. It is believed that Archibald managed to meet up with Prince Charles and stayed with him for a while in the legendary Cluny’s Cage. Eventually he travelled west with the Prince together with a few other men managed to elude the Government and sail to France. In exile Archibald remained at Prince Charles’ service and was also made a commander of the second battalion of a new Scottish regiment within the French Army, with his brother to be in overall command. By all accounts he appeared to live reasonably well on the continent and accompanied Prince Charles on a trip to Madrid in 1748. However, all was not to last. In 1753 Archibald travelled back to Scotland. Here he was destined to take part in an assassination plot against King George II and other members of the royal family. Unfortunately Archibald was betrayed. Some say it was Pickle the spy who informed the Government of his whereabouts whilst others suggest it was members of his own clan who were incensed by his continued loyalty to Prince Charles and the Jacobites. Either way Archibald was captured and imprisoned in Edinburg Castle for high treason. On 7th June 1753 Archibald was executed. He was drawn on a sledge and hanged for 20 minutes, before being cut down and beheaded. His body was secretly buried in the Savoy Chapel in Westminster. Today a brass plaque marks his grave after two earlier memorials had been destroyed by fire and war. Archibald Cameron was the last Jacobite to receive the death penalty and it was a move that shocked many after all his work to save lives, not just those on his side but also of the Government. We hope you enjoyed this short bio on Dr Archibald Cameron, as always please like, share, tweet, comment and keep joining us for more important facts about the Jacobites.